Successfully Added Wholesale Multimeter 10pcs Lot - Digital Readout to your Shopping Cart. 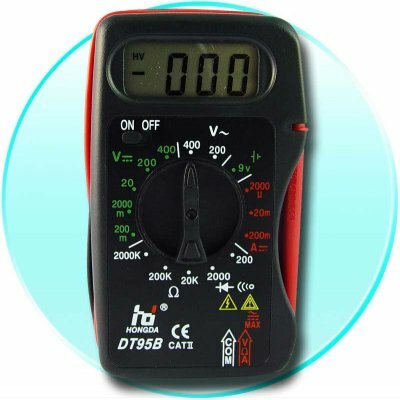 Digital Multimeter for finding out electrical current at a low wholesale discounted price. This Volt-Ohm-Meter will allow you to test DC and AC Volt, DC Current, Resistance, batteries, and diodes with a easy to read and understand LCD Screen. Added to this, you will be able to test with various strength settings to best be able to get an accurate reading. This is a great tool for electricians, contractors, and other such professions as well as being a handy tool to have around the house for home repair, and is available with Chinavasion 10pcs Wholesale deal so we can offer you the best price for shipping and for the Multimeter itself. If you purchase "one piece" of this item, you are purchasing a lot of 10 separately boxed products, delivered to you in one carton. This is so that we can give you the absolute best price for the shipping of this low-cost wholesale product. To calculate the price per piece, divide by ten.